AMERICAN SAILBOAT HALL OF FAME Inductee 1998. 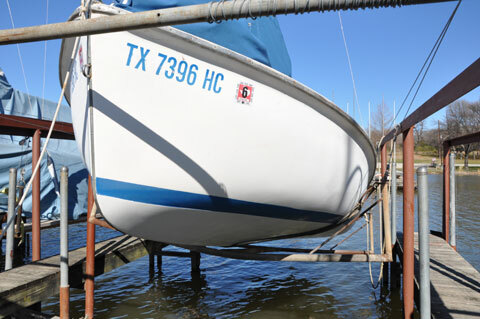 You may have noticed this boat was recently listed in Sailing Texas.....and reported SOLD. My short term ownership must end due to an illness. And I have asked Sailing Texas to come to my rescue and sell her....again! This Flying Scot, 1974, Hull #2528 is very sound and is in very good condition; no water damage or soft spots. 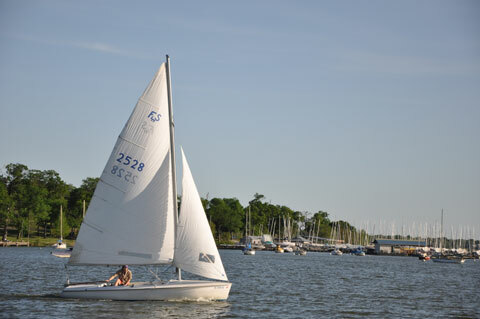 It's a great boat for day sailing. Boat is rigged for racing, including Spinnaker & pole. 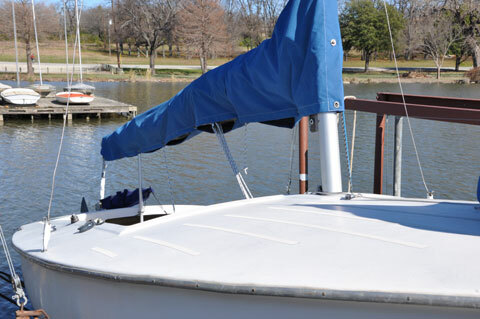 Sails (by Schurr) are in good serviceable condition. If racing interest you, competitive new sails: main & Jib...are in order. My source for new sails quoted about $665. 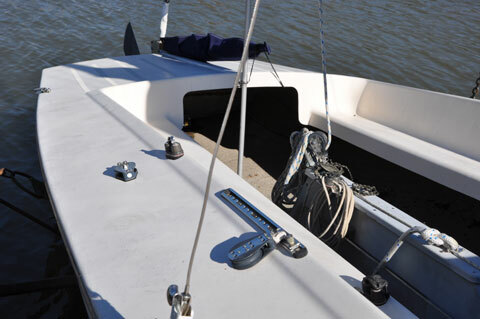 This sailmaker can also include a new CDI Roller Furling for about $375. Mast height, above water 28'. Weight, all up 850 lbs. Gross Trailering Weight 1200 lbs. No trailer included in this sale.....but, I know where one is available for about $500. Price includes boat, main sail and cover, jib sail and jib bag, spinnaker sail and bag, spinnaker pole, aluminum cranks, and anchor. 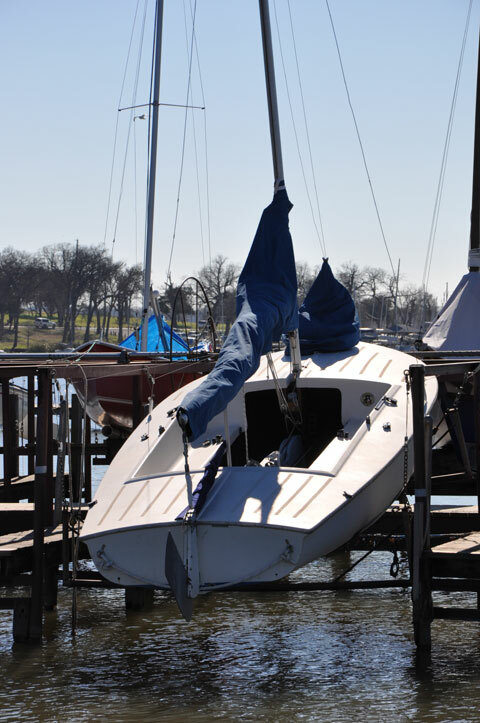 The Flying Scots can often be seen racing on Sunday afternoons at White Rock Lake, where this boat resides in a mechanical Davit. The boat can be seen by appointment only at the White Rock Boat Club, Dallas, TX. Call for more details or more pics.